Detail of a working lawn sprinkler head watering orange flowers and grass in the garden. 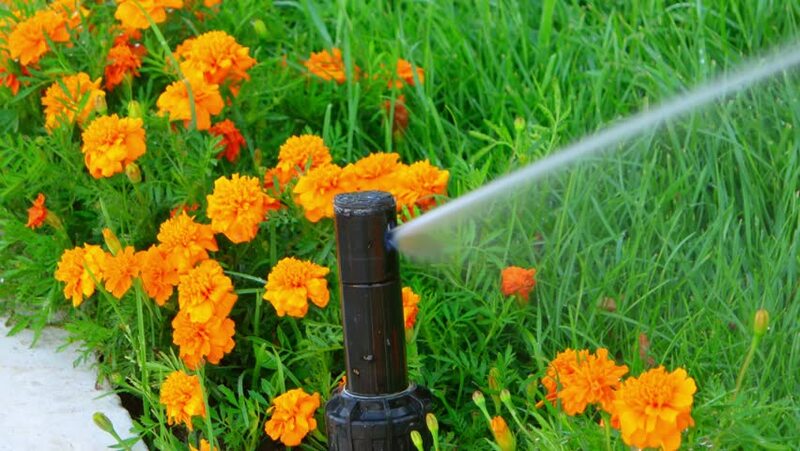 Sprinkler head watering in garden. hd00:09Landscaped flower garden with lots of colorful blooms, HD vdo./ Flowers in the garden, HD vdo. hd00:07Landscaped flower garden with lots of colorful blooms, HD vdo./ Flowers in the garden, HD vdo. 4k00:14Flowers in the park Keukenhof, the world's largest flower garden, situated near Lisse, the Netherlands.